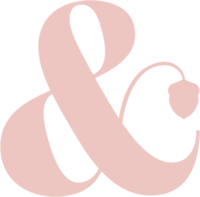 Closing season two is our fifth business expert, Kristina Karlsson founder of kikki.K. In 15 years kikki.K has grown from one store in Sydney to selling online to 143 countries and by Christmas 2018 they will employee over 1,000 people. In this episode, Kristina shares her business journey, her top tips for those pondering on starting their own business and how she uses Instagram to be the face of her brand. Another episode filled with pearls of wisdom. In this weeks episode, I chat with the last business owner of season two, Caitlin Booth. In this episode Caitie shares how a chronic health condition, a chance meeting with a rescue dog lead to a new hobby that grew into a successful business. Caitie and I share a love of Instagram, which is how we met. Caitie talks about she uses Instagram to market her business and how instrumental it has been in connecting with her with other likeminded business souls. In this weeks episode, I talk the fourth business expert of Season Two, Richard Huntington, Chairman and Chief Strategy Officer of Saatchi & Saatchi London Group. In his role, Richard looks after the deployment of strategies for clients such as EE, Direct Line, Sky, Marie Curie, T-Mobile and the Labour Party. In this episode, I put Richard in the hot seat and quiz him about how small businesses, with even smaller budgets, can build themselves a big brand presence. This episode is sure to get your thinking cap on, so make sure to listen with a pad and pen. In this bonus episode, I chat with Sarah Hamilton, founder of the JUST A CARD campaign which aims to encourage people to buy from Designer/Makers and Independent Galleries and Shops by reinforcing the message that all purchases, however small, even ‘just a card’ are so vital to the prosperity and survival of small businesses. 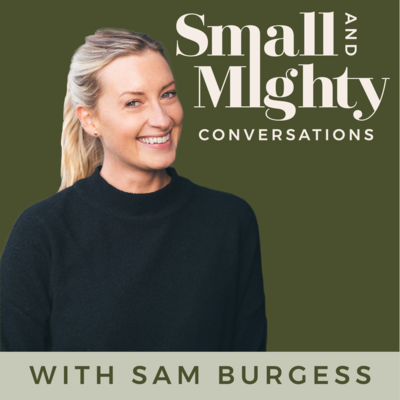 This is a campaign and cause, so close to my heart – those who have listened to the first episode of Small and Mighty will know that I once worked for an Independent trader that didn’t make it through the recession. With the constant threat of rising rates, Brexit and much more; our high streets remain a place of uncertainty. This episode is brought to you purely because of my passion for the creative independent industry and because if you do one thing this Christmas, buy “just a card”. In this weeks episode, I talk to Laura and Monica, the founders of Big Small Business, a collective of entrepreneurs and small business owners that came together in April 2017 for a conference in Winchester. In this episode we talk about launching a whole new brand off the back of their Instagram followings, lessons they learnt along the way and just how important is a logo? In this weeks episode, I talk to the the third business expert of the season, Donna Ida Thornton, CEO of Donna Ida. Donna and I talk about how vital it is that you keep the customer at the heart of your business and even as your business grows you must never lose touch with this. We also talk about influencer marketing and how Donna launched her business, pre social media. In this weeks episode, I chat with the third small business owner of season two, Megan Ford, founder of Meggies, a brick and mortar store in Stow-on-the-Wold in the Cotswolds. Megan and I chat about how you don’t need a business plan to succeed in business, why Instagram and Instagram Stories are so imperative to driving footfall and sales and her big dream for Meggies. In this weeks episode, I chat with the second small business owner of season two, Gabi Cox, founder of Chroma Stationery. Gabi and I chat about her business journey from a university project to thriving small business, the role influencer marketing has played in her growth – including the “Zoella Effect”, her addition to Instagram and the importance of making business buddies. Lucy gives insight to Trouva mission, to help independent shops and boutiques on the high street “to thrive, and not just survive”. It looks to do this by providing an online platform where independent shops can sell their products and promote their brand. Lucy talks about how Trouva uses social media, namely Instagram, to promote their brand to customers and prospective boutique partners alike, we talk about direct email marketing as well as Lucy’s career journey that lead her to be named one of Management Today’s 35 Women under 35.